Fake eggs? It is all in the wording. 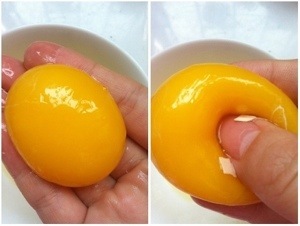 When we use the term fake egg it usually conjures up thoughts of the latest fake food story from China. But what about if it was called “low carbon eggs” or “one planet eggs” or “zero cruelty eggs”. I would imagine you would have different thoughts in your head. I know I do. A startup in the US called Hampton Creek Foods has been working on a new initiative called “Beyond Eggs” producing fake eggs but good fake eggs. In the US over 95% of the eggs consumed are from caged hens and its probably similar numbers in Australia. Yes we might buy the eggs we use at home from organic or free range sources but what about the eggs in the mayonnaise we buy? So Hampton Creek have developed a series of ‘egg’ products that use natural plant based ingredients to mirror the unique qualities of eggs when cooking. Some mirror the binding properties and some mirror the fluffy egg white properties. But they are produced without chickens, possibly leading to a world without caged chickens! And Beyond Eggs ‘fake eggs’ use less water, less land area and less carbon emissions. So would I eat a fake egg? I don’t think so, not if it looked like the one above. Would I eat a product that contained plant based ingredients that had the binding properties of egg, you bet. And if it was cruelty free and good for the environment, hell yeah.